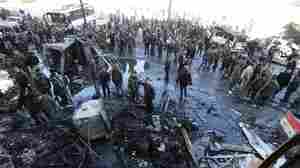 January 31, 2016  A car bomb and two suicide bombs struck near a shrine revered by Shiite Muslims on Sunday. 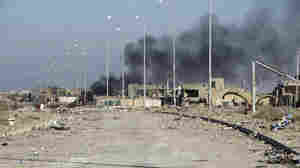 Groups aligned with Bashar al-Assad often use the defense of the shrine as a rallying cry for recruits. When Warm Weather Refugees First Met Snow: Readers, Share Your Stories! 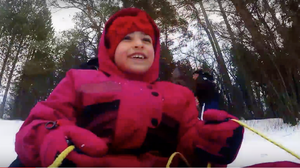 January 21, 2016  A YouTube video shows Syrian refugees celebrating their first snowy winter in Canada. Goats and Soda readers, tell us, when was your first snow — and how did you react? What Happens To The Body And Mind When Starvation Sets In? January 20, 2016  What is the process of starvation like? Do women have a survival advantage because of their greater percentage of stored body fat? These are some of the questions we asked our experts. 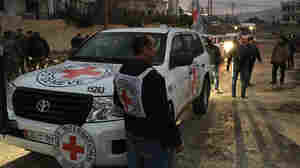 January 17, 2016  Aid arrived in the besieged town of Madaya, as well as two other towns, on Monday. Meanwhile, the U.N. is drawing attention to the hundreds of thousands of Syrians they still can't reach. 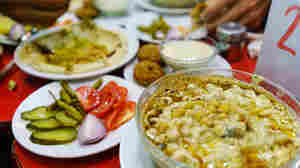 January 13, 2016  Having fled a bloody civil war at home, Syrian refugees living in exile in Turkey are determined to keep alive something even terrorists can't kill: their love of traditional Syrian dishes. January 10, 2016  Aid convoys are expected to arrive Monday. 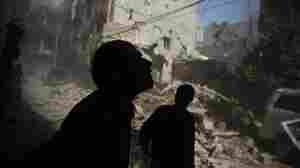 Meanwhile, an airstrike in Idlib has killed dozens, and Syria has announced it's willing to join peace talks with the opposition — with conditions. January 7, 2016  Bashar Assad's government will allow U.N. aid to enter three villages, including Madaya, where Doctors Without Borders has reported 23 deaths from starvation since Dec. 1. 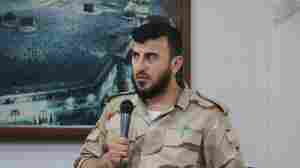 December 25, 2015  Zahran Alloush was a controversial figure, at odds with the Syrian regime, ISIS, and secular activists. December 22, 2015  Most of them are from Syria, Africa and South Asia. 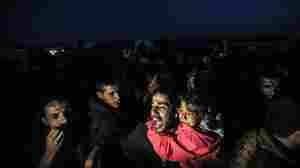 The International Organization for Migration says this is the highest migration flow since World War II. December 20, 2015  The Centre on Religion and Geopolitics says that means that wiping out the Islamic State will not end the threat from jihadi groups. 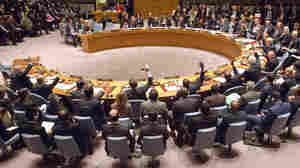 December 18, 2015  The resolution does not explicitly address the contentious issue of Syrian President Bashar Assad's future in the government. It aims for an end to fighting and a focus on defeating ISIS.